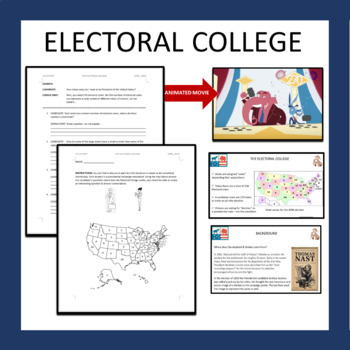 Here I have created a PowerPoint that introduces (pre-teach) the vocabulary of a very entertaining, five minute, movie about how the electoral college operates. 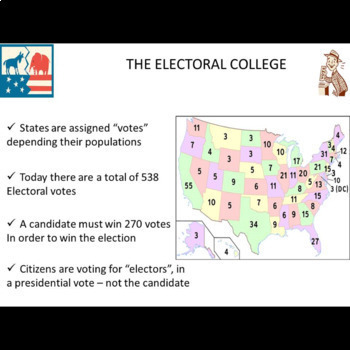 I also explain where the donkey & elephant come from in American history. 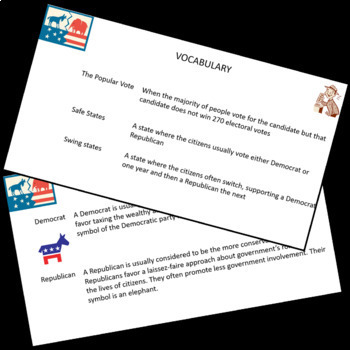 Use the PPT slides 1 - 10 to pre-teach the vocabulary, then show the film. 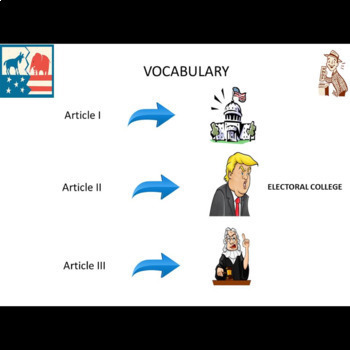 Next, return to the PPT and review some of the vocabulary used in the film on slides 11 - 13. Then distribute the role-play (hand-out included) activity. Two of the questions require a little bit of outside research on the student's part.